From sliced on toast to crumbled on salads to deviled eggs, hard boiled eggs have so many culinary uses. 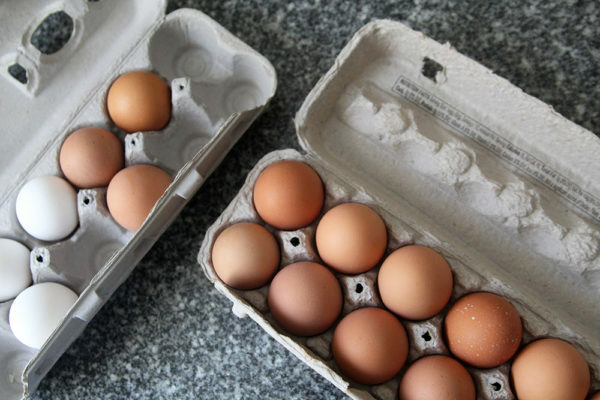 Here’s how to hard boil eggs. Is there a difference between hard-boiled eggs and hard-cooked eggs? Yes, but the terms are often used interchangeably these days. If we’re being technical about the terms, hard-boiled eggs are heated with the water up through and including boiling. They cook when the water boils. Hard-cooked eggs are also heated with the water. But once it reaches boiling, the pot is removed from heat, covered and the eggs cook gently in the warm water. Many people, including a retired food editor of Good Housekeeping, believe that the hard cooking method is the best way, preferring the texture and flavor. While I don’t feel strongly that hard cooking is better than hard boiling (or vice versa), this post contains directions for the more popular hard-cooked method. That said, my grandmother always hard-boiled her eggs. Start by filling a pot with cold water about 2 to 4 inches deep. Place the pot on the burner you’ll use. Then, gently place the eggs into the pot. 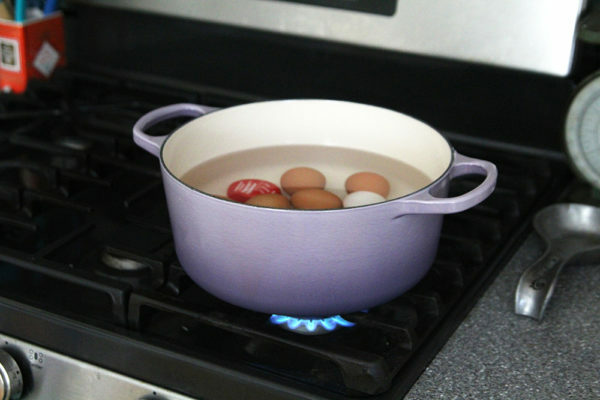 If you are using an egg timer that goes inside the pot, add it to the pot at the same time as the eggs. Then turn on the burner. When the water comes to a full, rolling boil, turn off the heat, cover the pan and let sit for 12 minutes (for large eggs; less for medium eggs). 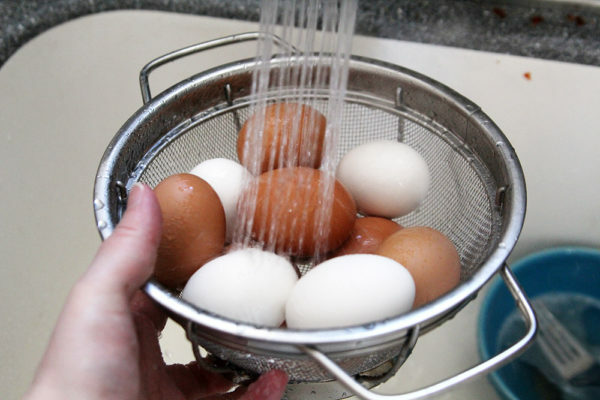 When the timer chimes, remove the eggs to a colander and run them under cold water for one minute to pause the cooking process. Do I Need an Egg Timer? 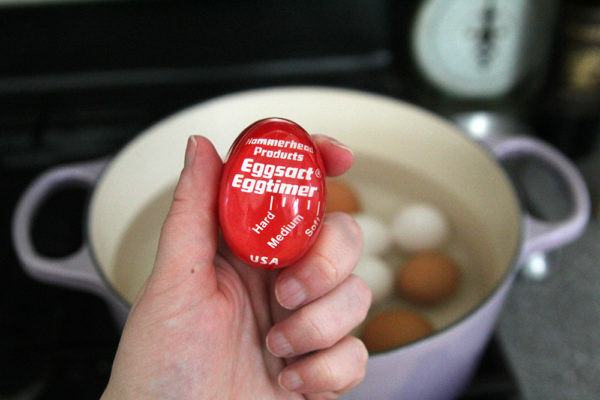 These days, I use this handy egg timer in the pot and get perfect eggs every time. I bought it at Rooster Bros. in Ellsworth, Maine. It takes all the guess work out of cooking eggs. But let me stress something: You don’t need this. Really, you don’t need it. You can simply time the eggs instead. Set the timer on your kitchen timer, microwave timer or iPhone and remove them when it goes off. Does the Egg Color Matter? No. 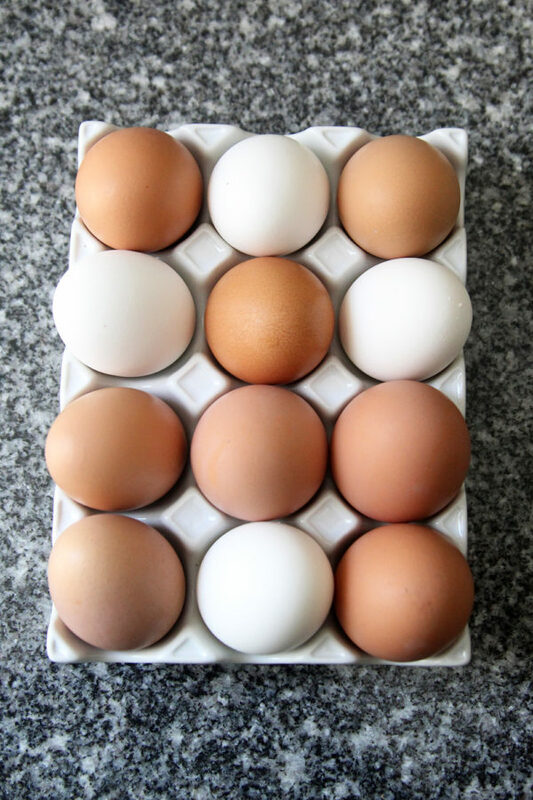 Although you may have heard that white eggs are better for hard-boiling than brown or other colored eggs, it’s an old wive’s tale. However, what does matter is the age of the eggs. You want to use older eggs for this. The older the egg, the easier time you will have peeling them. So, if you want to hard boil eggs, buy them at least one week before you do so. 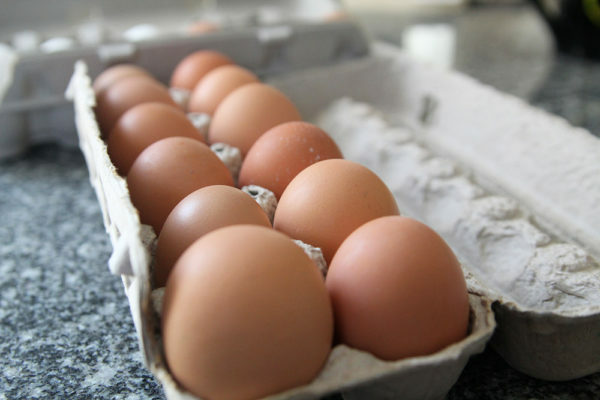 For fresh eggs, you’ll want to wait longer — 10-15 days — to age them first. What Can I Do with Hard-Boiled Eggs? 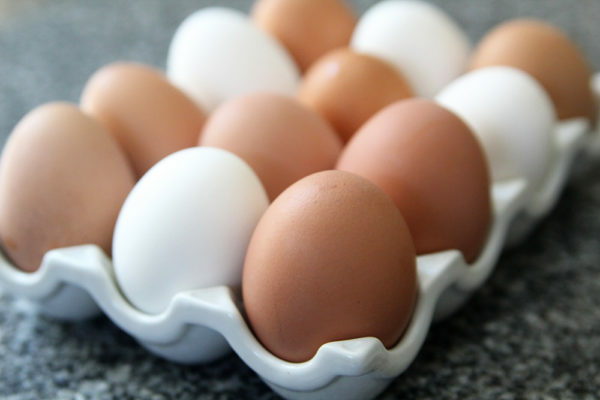 Hard-boiled eggs are delightful peeled, halved and eaten with a sprinkle of salt and pepper. They are also lovely when peeled and then chopped or quartered and served on salad. You can slice peeled eggs and use them on toast or sandwiches too. So in my family we add the eggs after the water is boiling, then boil the eggs for 12 minutes before removing them to an ice bath. That doesn’t seem to be either hard boiled or hard cooked! I used to make them like that too! But at least one egg would crack in each batch (ugh).